What's Your Mood? : Is a Happy, Happy Man! About Love ? : Cassidy is my girl! I like them : My mom, Cass, Sam & Meg. Matt's mind : Its been one crazy week, starting to get excited, heading up the slopes soon! Religious Views : Snowboarders Power! I do some snowboard (Snowboard Cross, Pipe, freeride....) since I was 10. I love music, snowboarding, wakeoarding, rope boarding anything that gives you a rush without using drugs.! I like to spend some times with my friends, my girlfriend Cass, my mom (of course) & my bro. I like to go out & have some fun with my friends. 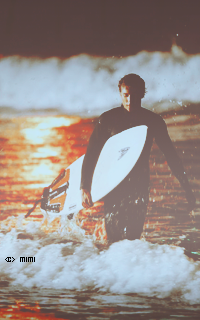 I like surfing (I'm from California, so I do some surf since I was little) & I like girls of course! If you want to know more things about me, you just have to ask me the questions... or you can go on the web site of Element & Quicksilver... you'll find something! Matt Stewart has 440 friends. Ridin' Point Hope With Music Blastin in My Ears.. Couldn't ask for anythin Better. "Be yourself and love life...it's what you make of it." This is not my bags!! Sam & Megan... oups no, sorry! !